Also known as powder bed and inkjet head 3D printing. In 3D printing, binder jetting is a process in which layers of material are bonded to form an object. The 3D printer software reads an STL or other 3D file created in CAD software. The file is sliced creating layers of thin cross sections of the object. This data is then sent to a printer where the object is printed by sticking together successive layers of a powder, sand, or metal material. A glue or binder is jetted from an inkjet style print head to bind the layers together. A fresh layer of powder is spread across the top of the model and the process is repeated until the object is fully printed. Binder jetting is a method used for additive manufacturing or 3D printing. Binder jetting was developed by Ely Sachs and Mike Cima at the Massachusetts Institute of Technology in 1993 and Z Corporation obtained an exclusive license for the process in 1995. 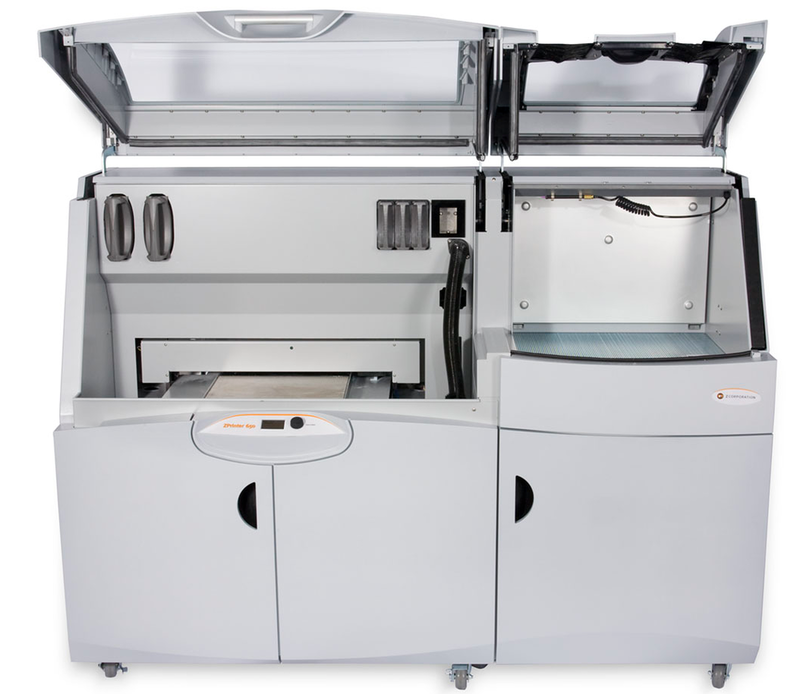 The Zprinter, as it is now called, has become one of the most popular commercial 3D printer lines available. The binder jetting printer was featured in an episode in CSI: NY. Z Corporation was acquired by 3D Systems on January 3, 3012. 3D Systems was founded in 1986 by Chuck Hull, the creator of 3D printing. Chuck Hull also invented rapid prototyping technology and the STL file format. 3D Systems specializes in several aspects of 3D printing, including 3D printers, print materials, software, and custom-parts services.